Home » WOD Blog » Joy! Holiday Hike, Part Deux meeting at 7:45am at the gym and back in time to WOD at 11am! Heavy as possible- rest as needed between sets. Notes: A Tabata interval is 20 seconds of work followed by 10 seconds of rest. Complete 4 Tabata rounds of the first movement then 4 Tabata rounds of Burpees. Repeat this cycle twice for a total workout time of 10 minutes including the rest. Score is the total reps for each movement. Happy Holidays PCF!!! 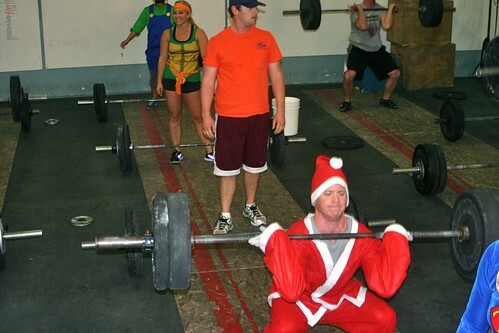 May your day be filled with love, laughter, good food, good company, and some heavy back squats! Come on down for some Christmas Cheer!